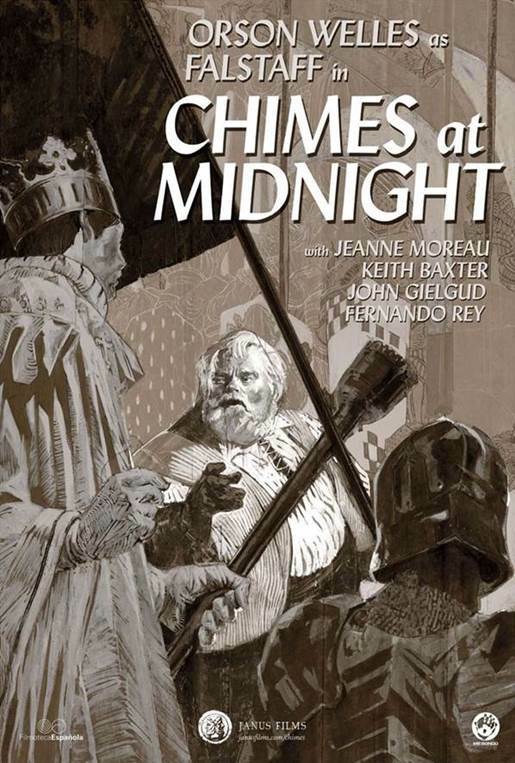 Win a chance to see Janus Films' Chimes at Midnight, starring Orson Welles & Sir John Gielgud for FREE. 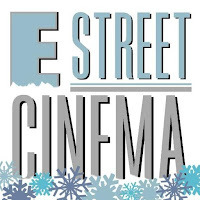 Fill in the entry form below, and we'll select two winners to receive a run-of-engagement (ROE) pass for two to see Chimes at Midnight at the Landmark E Street Cinema in Washington, DC. 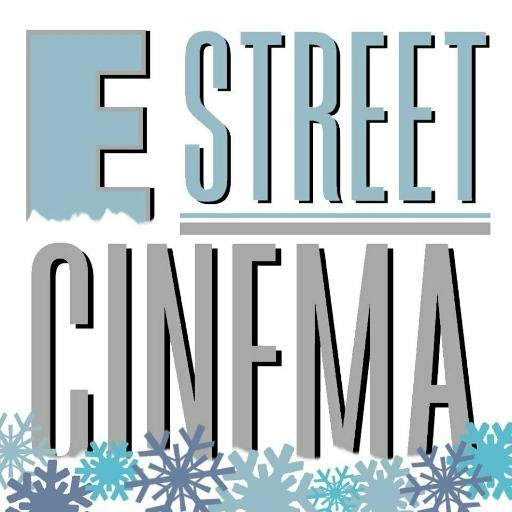 Chimes of Midnight opens Friday, February 12th. Passes are valid anytime, beginning Monday, February 15th. Winners will receive their pass in the mail (via USPS.) All entries must be received before Tuesday, February 9th at 11:59 PM EST. This brilliantly crafted Shakespeare adaptation was the culmination of Welles’s lifelong obsession with the Bard’s ultimate rapscallion, Sir John Falstaff, the loyal, often soused childhood friend to King Henry IV’s wayward son Prince Hal. Appearing in several plays as a comic supporting figure, Falstaff is here the main event: a robustly funny and ultimately tragic screen antihero played by Welles with towering, lumbering grace. Integrating elements from both Henry IV plays as well as Richard II, Henry V, and The Merry Wives of Windsor, Welles created an unorthodox Shakespeare film that is also a gritty period piece, which he called “a lament... for the death of Merrie England.” Poetic, philosophical, and visceral - with a kinetic centerpiece battle sequence as impressive as anything Welles ever directed - Chimes at Midnight is as monumental as the figure at its center. This release is the culmination of more than 20 years of effort on the part of Janus Films. There is no film we have waited longer for, worked harder to license, or are prouder to present. Using a scan from the Filmoteca made from the original negative, we were able to significantly improve upon anything that has been shown before. Careful color correction improved contrast, grey scale, and black levels. Digital restoration addressed dirt, tears, splices, stains, scratches, and flicker. The soundtrack has been gently cleaned to remove distracting pops and clicks, but the character of the original, post-synced audio has been maintained. We are confident that once audiences are reintroduced to the film, it will finally take its place as one of Welles's masterpieces. 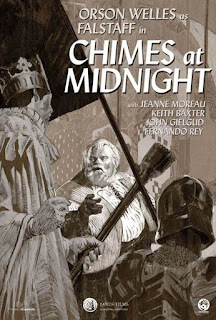 While this release fulfills a longstanding debt to US audiences - making a treasure of cinema available in a high-quality version for the first time in decades - our work on Chimes at Midnight is not done. We will continue to collaborate with the Filmoteca, the Piedra family, and archivists around the world on the full preservation and 4K restoration the film deserves. However, that process may take years. At the culmination of Welles's centenary, we feel that what the film needs most is an audience, and thanks to this restoration, the film will reach that audience looking the best it ever has.